The week of #200 ends with favorite movies of 2018, sitcoms the hosts would drop each other into and series that define them. Round 3 reaches 200 episodes as guest-host Frank subjects Robin, Derek and Sheena to a musical rewind game to celebrate. Merry Christmas Eve! 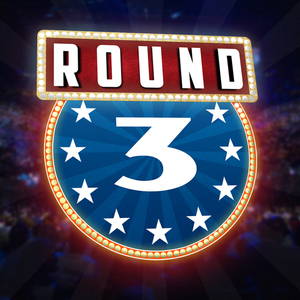 Join Round 3 for its week of anniversary episodes! Rocky week comes to a close and Sheena and Derek face off in trivia. Round 3's week of the Rocky franchise begins. Friday game time: Christmas trivia! Your old person stories, your old person habits and your old person wisdom. The gang talk their ancestors, stories from their grandparents and which generation they'd rather meet. Aliens, mic cords, Jan Arden and more! Let the holiday-themed episodes begin! Best holiday leftovers, your dynamic Christmas duo lineup and the all-time Christmas movie pick.